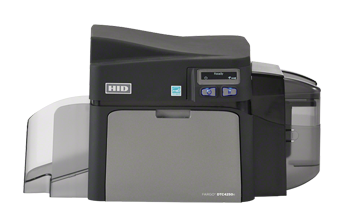 The DTC4250e plastic card printer is esigned for medium-sized businesses, schools and local government institutions seeking versatility in a convenient, professional and secure printer/encoder system, the DTC4250e is ideal for flexible, easy and reliable color printing and encoding of technology cards. Our DTC4250e card printer is field upgradeable, so it can adapt to changes you need when you need them. Add dual sided printing functionality. Add magnetic stripe encoding. Add HID Proximity encoding (125 kHz), iCLASS contactless encoding (13.56 MHz), or contact chip encoding. Add Ethernet connectivity. Add a high-capacity ID card hopper. As your organization grows, the DTC4250e can grow with you. With a small footprint, and an optional same-side input/output hopper, its minimum size was designed for maximum flexibility. And with upgradeable functionality and security, simple replacement of cartridge supplies, movable SmartScreenTM graphical display, and an easy, intuitive set up, the DTC4250e was made for organizations that want a higher level of security without the higher levels of capital investment and training time. 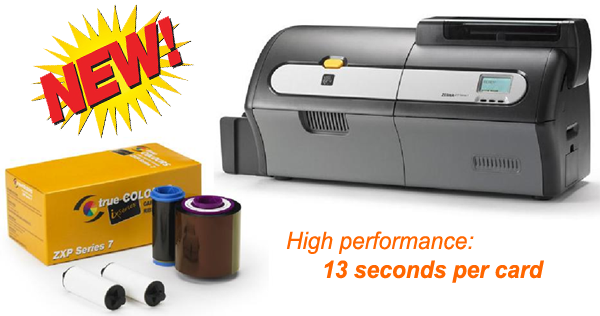 We back each of our Direct-to-Card Printer/Encoders with a global 3 years warranty. A 7th generation product from Fargo, each printer now works seamlessly with HID readers and other asset protection modules. In addition to sophisticated encoding options, the DTC4250e will print a UV layer for an increased level of physical security on the card. The DTC4250e can also be password protected at the printer so only approved operators can print and encode plastic security cards and badges.